while the classic skiers disguised their rest stops as waxing efforts. (Both photos above were taken by Chris Broda). Rest is good. 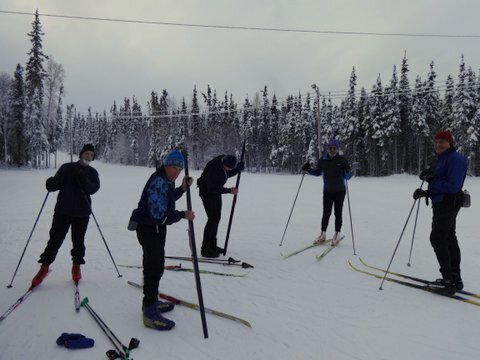 But to prepare for racing requires some race efforts and the Distance Race series is a low-key way to ramp up the intensity of your ski efforts. At least, now there is some padding on the ground when you fall for those of us who are balance-challenged. 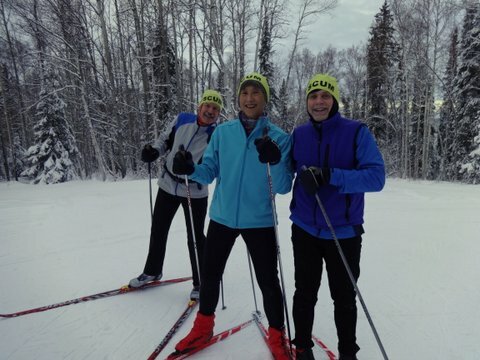 This entry was posted in Sonot Kkaazoot race organizers, Training Ideas and tagged Buetow Dental Distance Race, Distance Races, Early registration, Nordic Ski Club of Fairbanks, winter solstice by Sonot Kkaazoot. Bookmark the permalink.